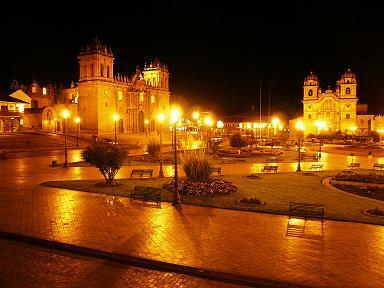 Peru is full of many great travel destinations and we are here to guide you through the best of them. The most famous tourist attraction in Peru is the magical Inca citadel of Machu Picchu , but what other treats does this country hold? and where should you best spend your time to time? We have written a comprehensive Peru Guide full of information on the most important and popular places to visit. The department of Cusco is probably the most travelled area of Peru, as this region still has some of the finest ruins from the Inca civilization. Machu Picchu is the biggest attraction, but other sites such as Ollantaytambo, Pisac and Cusco are popular for day visits and tours. The Cusco region also draws thousands of hikers every year wanting to experience the charm and beauty of the Andes. The famous Inca Trail to Machu Picchu, and alternative treks such as Salkantay, Choquequirao and Lares are some of the most popular trails. Click the treks link to see our comprehensive travel guide on trekking in the Andes. Lima is a sprawling city of some nine million inhabitants, and is one of the world’s fastest growing economies. Once one of the most powerful trading posts, Lima has a fascinating and interesting history, from which the Spanish empire in South America was born. Today only small reminders are left of the illustrious past, and this modern day city has become a mixed pot of trendy up-market districts and shanty town suburbs. Lima is also famous for its outstanding selection of high-end restaurants. Our Peru guide offers information and reviews on some of the best restaurant in Lima. Canyon. 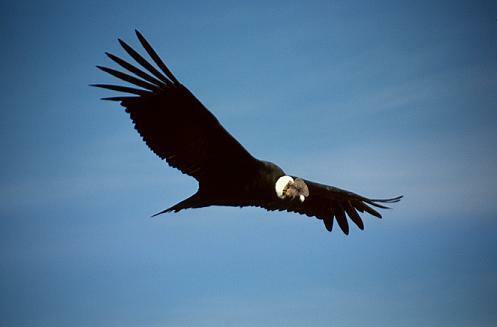 The Colca Canyon which is twice as deep as the Grand Canyon (USA) is also home to Peru’s national bird; the Giant Condor. With a wingspan larger than the average family car, the Giant Condor is an incredible sight to be seen soaring above the Canyon in the early morning. Arequipa, one of Peru’s largest cities also is a great travel destination, and offers unique hiking opportunities around the volcanoes of Chachani and El Mysti. Lake Titicaca situated on the border with Bolivia is the highest navigable lake in the world. Tourists can visit the amazing floating Uros Islands and see traditional native Indians weaving tortuga reed into boats, houses and incredibly whole islands. The Amazon Jungle covers two-thirds of Peru, and is a dense mainly impenetrable region of Peru that is hard to access. However, there are several national parks that offer eco-tourism travel hotspots for tourists seeking something different. Manu and Tambopata National Parks near to Cusco have several great jungle lodges that cater for families and individuals, and in Iquitos there are further retreats where visitors can be at one with the Amazon Jungle. Northern Peru is largely un-explored by tourists. For seasoned travelers this northern region also holds some interesting and diverse areas of interest. In this Peru Guide we have not gone into great detail about the north, but over the next few months we will feature more information on attractions such as ChanChan, Lord of Sipan and Mancora. This Peru guide is brought to you by a group of travel professionals living and working in Peru. If you think that you would like to contribute to the growth of this site, please contact the webmaster today.